hd00:11View at bright blooms of Aesculus conker tree move in wind on blue sky background. Static shot. hd00:19Ash Tree Flowers and fruits. Branches of fraxinus exelsior tree in the wind on blue sky background. Video HD Shooting of static camera. sd00:14Blue sky, couple walks past Franklin Pond, trees reflected in pond in Boston, Massachusetts . 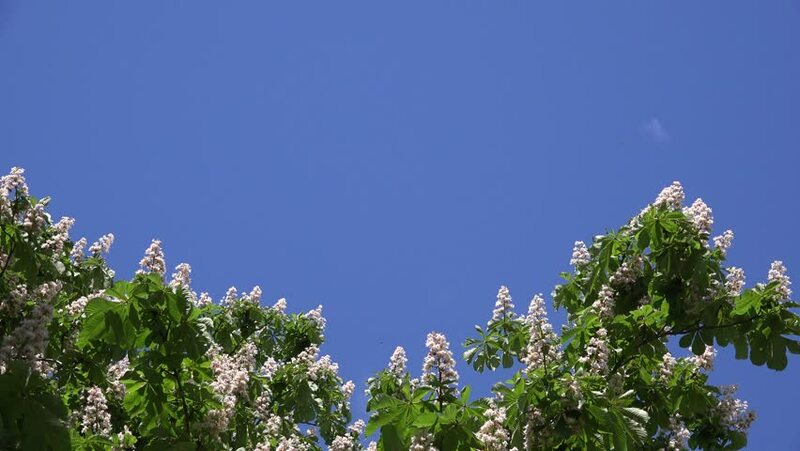 4k00:12Flowering chestnuts on a background of blue spring sky.